Here's a piece of history pulled from the muddy banks of the River Thames. 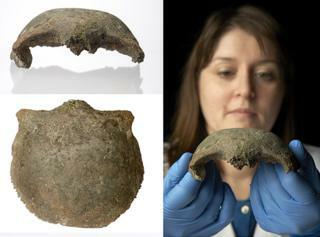 It's a skull fragment that is 5,600 years old. It dates to a time long before there was any permanent settlement on the site we now know as London. Investigations indicate it belonged to a male over the age of 18. 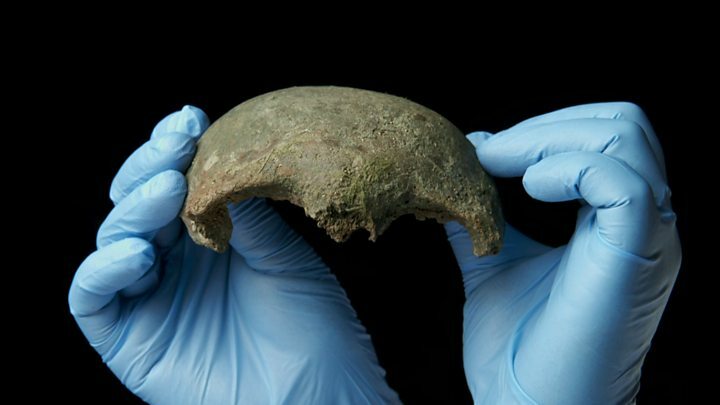 There are older Neolithic remains that have been recovered in the region, but what makes this specimen especially interesting is that it's the earliest ever skull found by "mudlarkers". If you haven't heard of them before - they're the band of mostly amateur archaeologists who scour the Thames' edges at low tide for objects of intrigue and antiquity. And they're constantly picking up fascinating items - many of which end up in the Museum of London, where this frontal bone will now be displayed from Wednesday. Dr Rebecca Redfern is the museum's curator of human osteology. "Mudlarkers are hugely knowledgable," she told BBC News. "They understand where finds will emerge and what's of archaeological interest. And it's really great that they work with us so we can share what they discover, because very often they will turn up things that are very different to what we find elsewhere in the city. Mudlarking requires a permit from the Port of London Authority, and if human remains are identified, the police have to be informed. “Upon reports of a human skull fragment having been found along the Thames foreshore, detectives from South West CID attended the scene," explained DC Matt Morse at the Metropolitan Police. "Not knowing how old this fragment was, a full and thorough investigation took place, including further, detailed searches of the foreshore. The investigation culminated in the radiocarbon dating of the skull fragment, which revealed it to be likely belonging to the Neolithic Era." It's hard to imagine what London looked like before London. But the region was probably covered in extensive woodland, said Dr Redfern. The man, when he was alive, was very likely "a farmer rather than a hunter-gatherer", she added. "From the Neolithic onwards, there’s evidence for farmsteads, but no evidence for a large permanent settlement until after the Claudian conquest." Roman Emperor Claudius' troops invaded Britain in AD 43.